Online registration for OH!lly 5k is now open! Come experience the beautiful trails around the University of Virginia’s Observatory Hill (“O-Hill”) by running the 2nd race of the 2017 Summer Trail Running Series, OH!lly 5K on Tuesday, June 6th, at 7 pm. 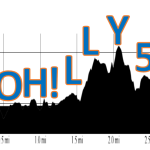 OH!lly 5K takes place completely on single-track trails with challenging and fun ups and downs. The race is open to all interested racers, runners, and walkers. Prizes will be awarded to top finishers and points will be awarded to Series runners. The entry fee is $5.00. Click here to register online. ← Registration for Summer Trail Running Series is Open!